New Delhi, 11 October 2012: Top Notch Infotronix, India’s leading supplier of products and accessories for Computers, Consumer Electronics and Communication under the brand ‘ZEBRONICS, introduced today the industry’s most advanced Portable Media Player – the Zebmate Cinema 1.8 Touchscreen Media Player – the most recent addition to their lineup of premium portable media players. The game-changing feature of the new player is it’s ultra-light weight, a 1.8-inch touch-screen (160x128 pixel). The player itself is designed as a lifestyle accessory for the style conscious generation – it comes in an elegant smoked-black + Sky blue colour body with a sturdy build and quality feel to it. 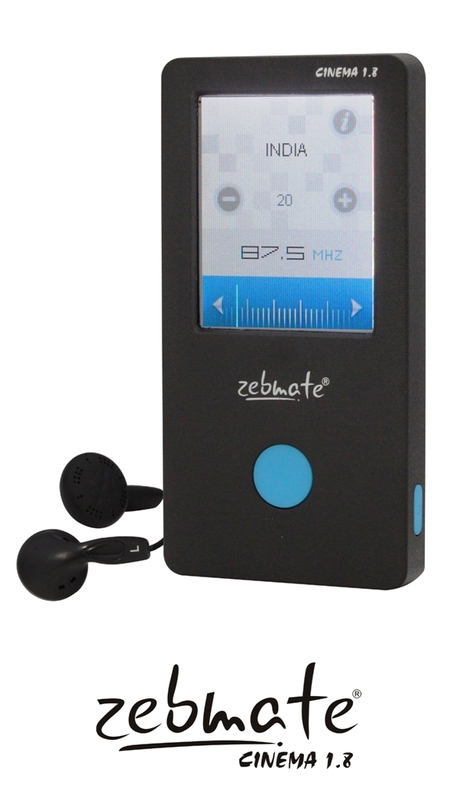 In keeping with the Zebmate line-up of players, known for good sound quality, premium design and features, the Zebmate 1.8 has 8GB capacity inbuilt as standard while a micro-SD card slot takes care of expandability. Built for long battery life, the player is rated to give you uninterrupted play of up to 12 hours for audio, long enough to enjoy music without a break. Featuring superb audio clarity, video, FM, text, image, audio recording and expandable memory the player can be used easily while on the move. The easy touch and select options enables user to change the audio tracks and rewind/forward selected songs depending on their mood – be it you are on your way to office in a crowded metro or jam-packed buses. The audio formats supported include MP3, WAV and WMA. The bundled accessories include high-quality earphones and USB cable. It features a standard 3.5mm stereo jack and therefore it can be connected to vast varieties of external speakers systems to listen to music in louder noise. The player interfaces to a computer through a USB2.0 cable, the most convenient for data transfer. Apart from the ground breaking audio features, Zebmate Cinema 1.8 also supports equalizer options to enhance the music experience according to individual preferences. Other run-of-the-mill features like FM radio, photo viewing, e-book, and a voice recorder makes it your perfect companion at any point of time in a day. 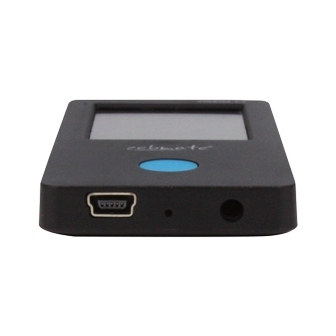 The touch-screen interface of the player is extremely user-friendly and intuitive, so that anyone from young to old can use it. 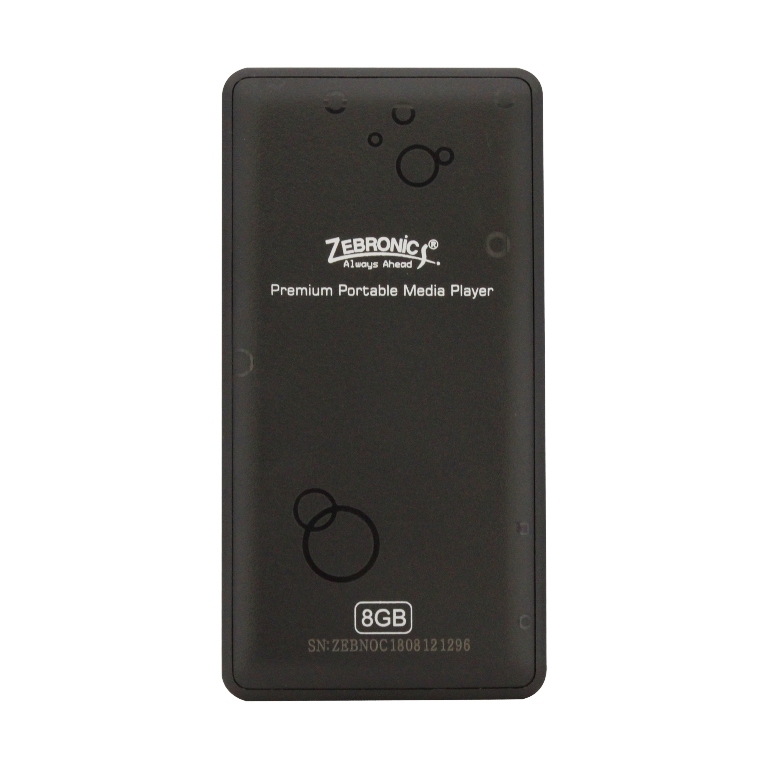 The Zebmate Cinema 1.8 Portable Media Player adds to Zebronics’ range of players in the Zebmate line-up known for excellent sound quality, aesthetics, appealing external design and rich features, at value-for-money prices. The Zebmate Cinema 1.8 Touchscreen Media Player is available from computer accessories and electronics stores at an amazing price of Rs 1,600. About Top Notch Infotronix (I) Pvt. Ltd. Established in 1997 and headquartered at Chennai, Top Notch has one of the industry’s widest line-ups of products and accessories for Computers, Consumer Electronics and Communication. encompassing a range that includes computer peripherals, gaming devices and media players etc, under the brand name "ZEBRONICS". The products are PC cabinets/chassis, keyboards, mouse, PC power supplies, UPS, monitors, webcams, speakers, TV Tuners, headphones, multimedia players, portable media players, Laptop accessories, wireless Networking, gaming accessories and more. Top Notch has 28 Branch offices and 70+ service centres covering all major cities. The Company employs over 500 people and operates through a network of about 10,000 channel partners throughout the country.